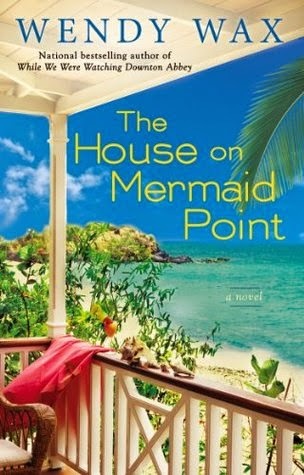 Goodreads: Maddie, Avery, and Nikki first got to know one another—perhaps all too well—while desperately restoring a beachfront mansion to its former grandeur. Now they’re putting that experience to professional use. But their latest project has presented some challenges they couldn’t have dreamed up in their wildest fantasies—although the house does belong to a man who actually was Maddie’s wildest fantasy once . . .
Kritters Thoughts: A third in a series and before you read on in the review - know that I had no clue this was #3 until a few chapters in and went looking thinking that I was missing some backstory! So with that said, I wish I had read Ten Beach Road and Ocean Beach before I read this one. I was missing out on the "inside" jokes and would probably have loved it even more after reading the first two, so they are officially on my TBR. Onto my review of this book. With women of my generation and my mother's, I think this book could appeal to a wide audience of readers. Each woman has their own baggage that they are trying to handle while also living on a private island and renovating a former rockers home. The antics are fantastic. The book had a perfect rhythm that kept me flipping pages with ease. But this one ends on a cliff, so I am assuming there will be another? I am passing this one onto my mom at Ope's Opinions and am excited to see if she enjoys it like I did. I would say you could pack all three in your beach bag and maybe even make it thru the whole series with a good week at the beach! I've read the previous two books and just waiting for the third one - this one, to arrive in the post. Glad you enjoyed it, and I like your point about the variety of ages in the book which helps it appeal to a wider audience.